Diana is a DIY master she sews, knits, crafts, and does it all herself! Look here for fun crafty do it yourself projects! 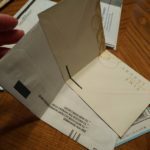 What do you do with your junk mail? Do you toss it out? Recycle? 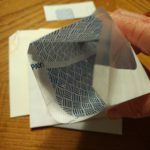 Here is a craft for you to use up those bothersome return envelopes that come in the mail. I get tons of them. From bills, to credit card applications and on and on. I save seeds from all my veggies and fruits that I can grow here in Texas. It is a way for us to get FREE produce. 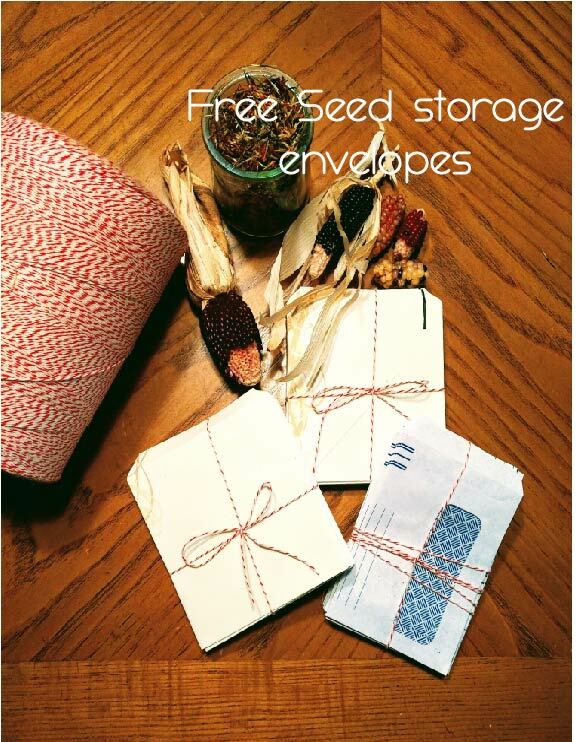 Stay tuned for a post on seeds later! When was the last time you ate cantaloupe seeds? See what I mean? Dry those suckers and plant them! Moving along. This should take you about 10-15 min depending on how many you decide to make and how fancy you want them to look! 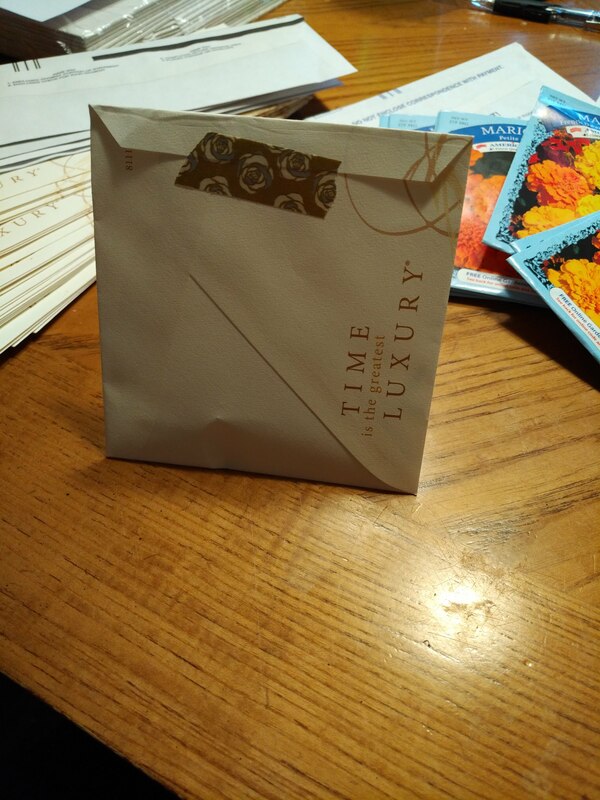 any business size envelope. It can have a window, but it must have plastic on the window. 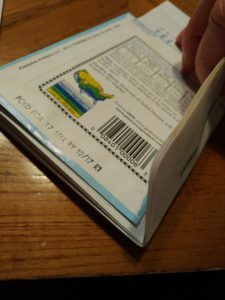 Optional is an envelope maker/punch, bone folder, labels, tape, or stickers. 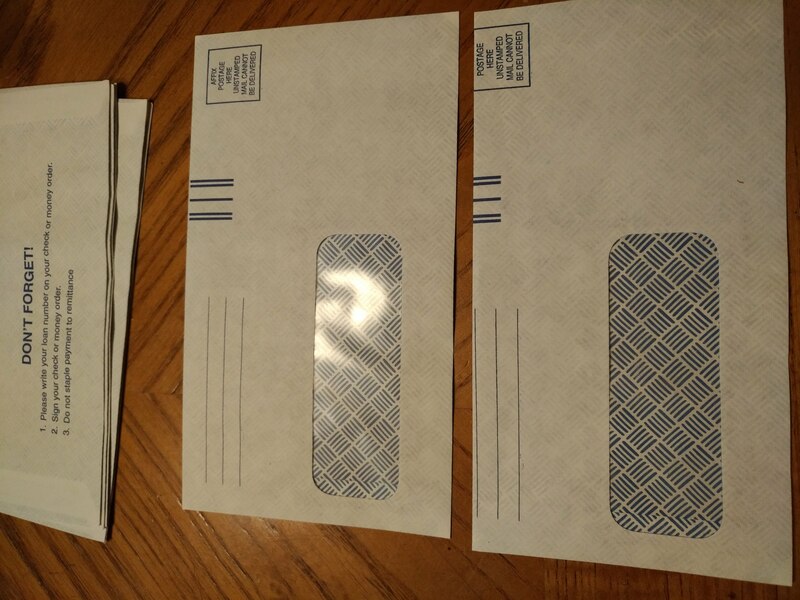 There are 2 different sized envelopes in my picture. I will show you both ways I made them, although they are pretty similar. 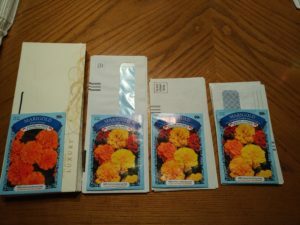 This is just to show you scale of the various envelopes that I have versus the size of a standard seed packet. 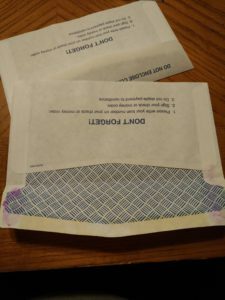 The larger envelopes (standard business size) will allow you to squeeze 2 packets. The smaller ones only yield one. I just use whatever I have on hand that was free! 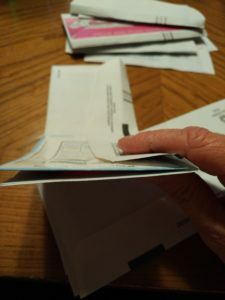 Start by taking your envelopes with the flap up. 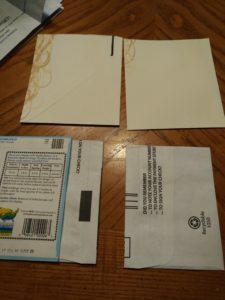 You are going to use the seed packet or your measurement to refold the flap. This is only necessary if you want them to be standard size. 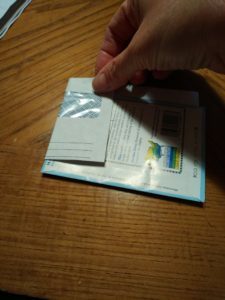 Next you want to open the flap and put glue on the edges where there is no glue. 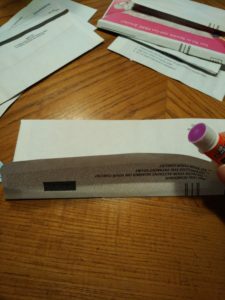 If you prefer not to lick the envelope to seal, you can put glue across the flap. 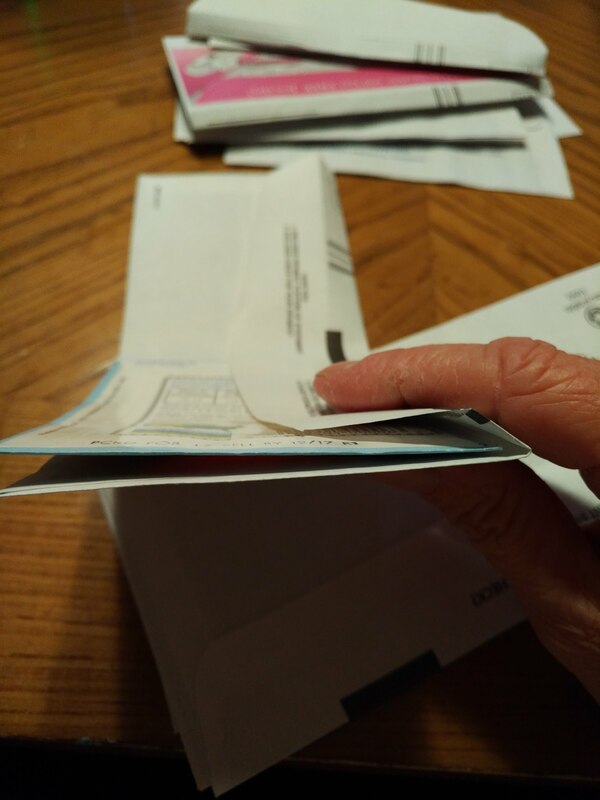 You want to seal the envelope with the new fold you have created, not the original fold of the flap. 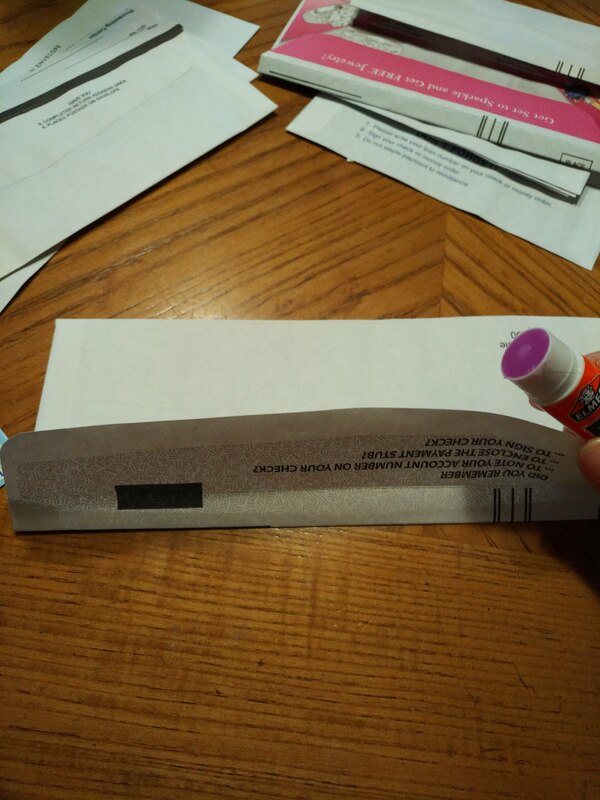 Be careful not to get glue on the inside of the envelope. 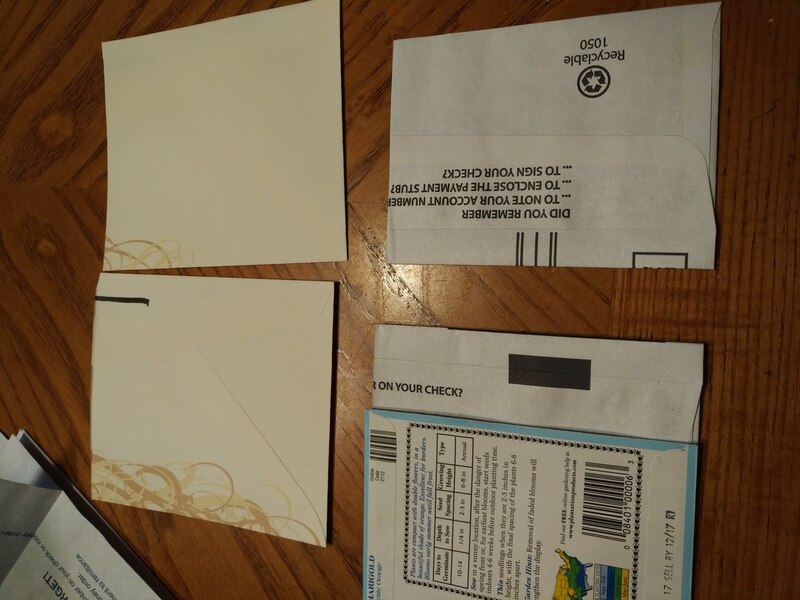 The reason for the glue on the sides, is that the sides will be the bottoms of the seed packets, if they do not have glue, seeds will fall out. Another thing to note is for this size of envelope, you really only need to seal one corner as you are going to cut off the top and discard in the next step. 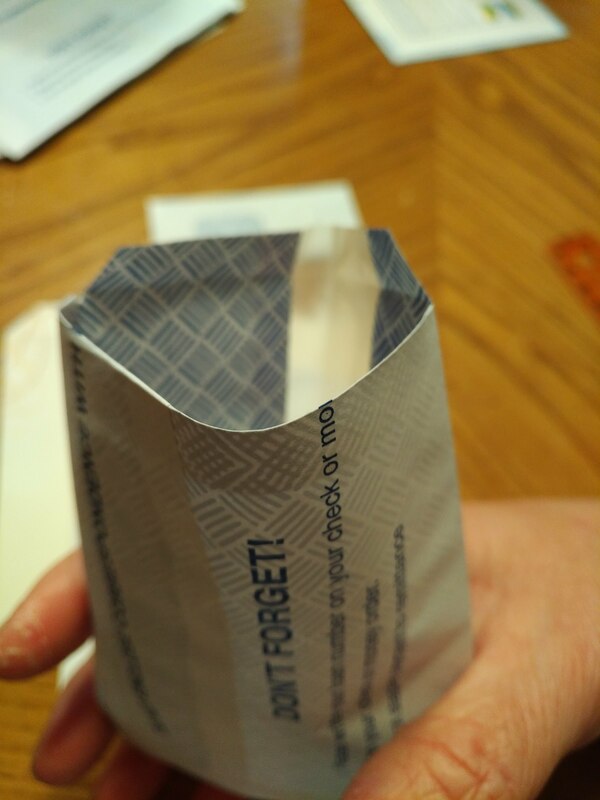 Now you are going to fold the envelope over the seed packet to get the height, or measure 4.5″ and fold. 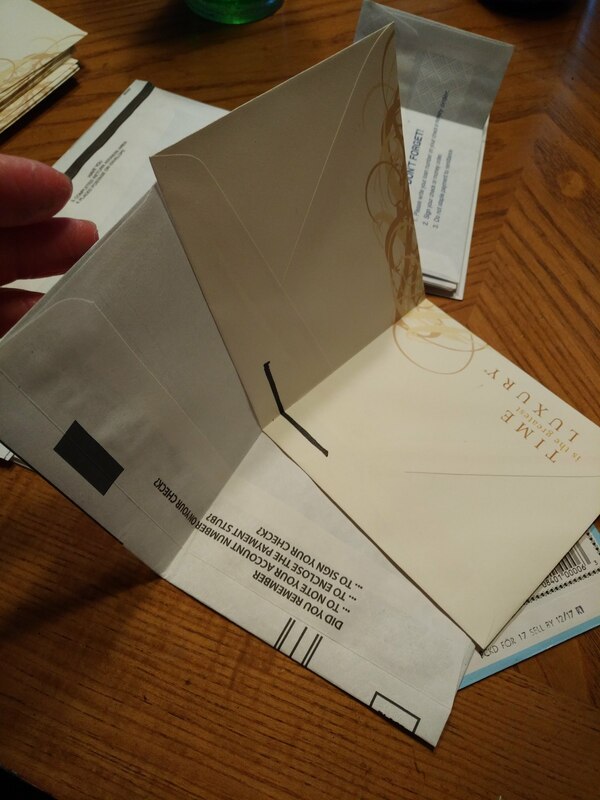 Lay the envelope flat. Measure 1/2″ from fold and cut. This will be your flap. 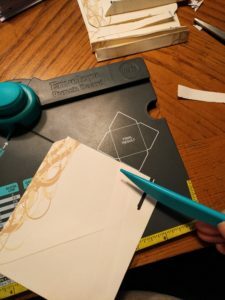 Trim off a small triangle of each corner. No need to measure or be exact, just eyeball the cut. 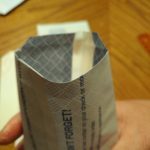 Fold one side of that flap inside as in the pic. If you prefer you can cut it off, but folding is quicker and easier. Done! Now fill with seeds and glue or tape shut. 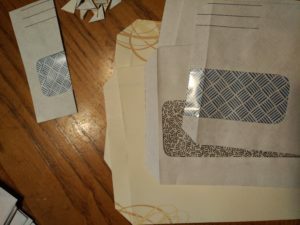 I like washi tape, because you can open and close the envelope many times. 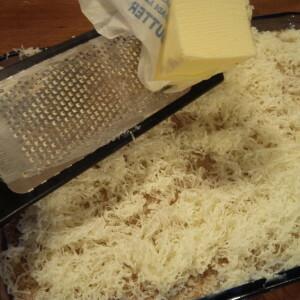 The second method is easier, you do some of the same things, but no measuring required. 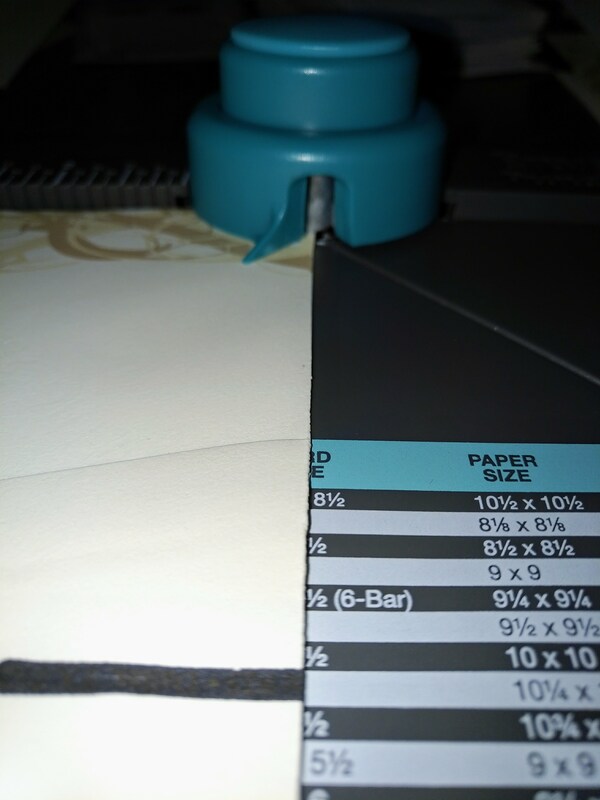 I will give you some options if you want things to go even faster, and so the cuts and folds will look neater. 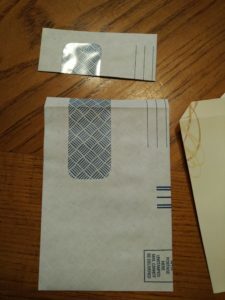 Fold your long envelopes in half. 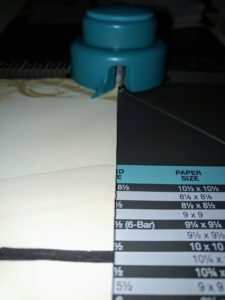 Then cut them on the fold line. I usually cut a few all at once. 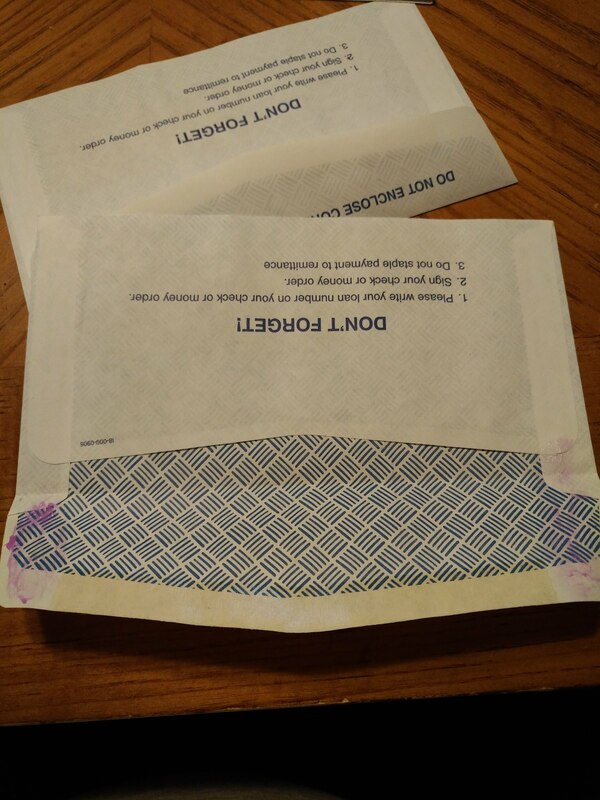 If you do it that way you don’t even have to fold each one, just use one as the template. 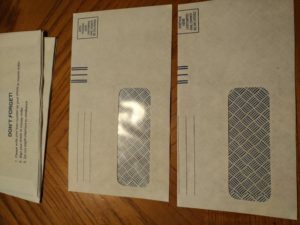 Here is a stack of envelopes cut in half. 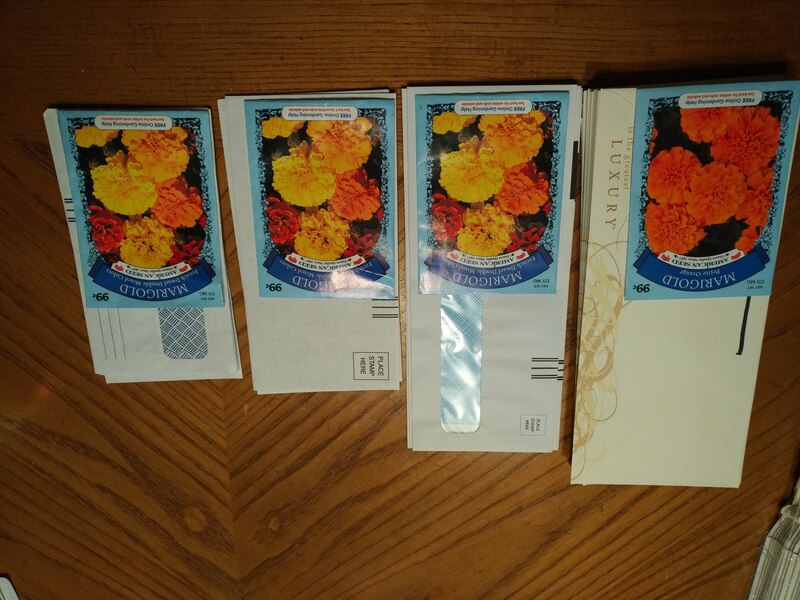 The bottom ones are just a bit smaller than the seed packet, but I would rather have 2, than to waste that much of the envelope. 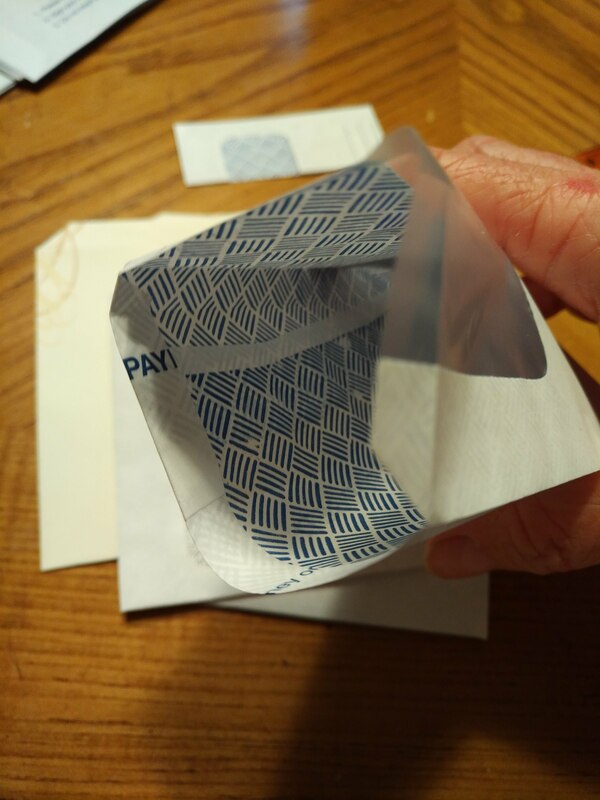 The next thing you do is fold the flap about 1/2″ down on the top. Then trim the corners and fold one side of the flap to the inside, just as above. 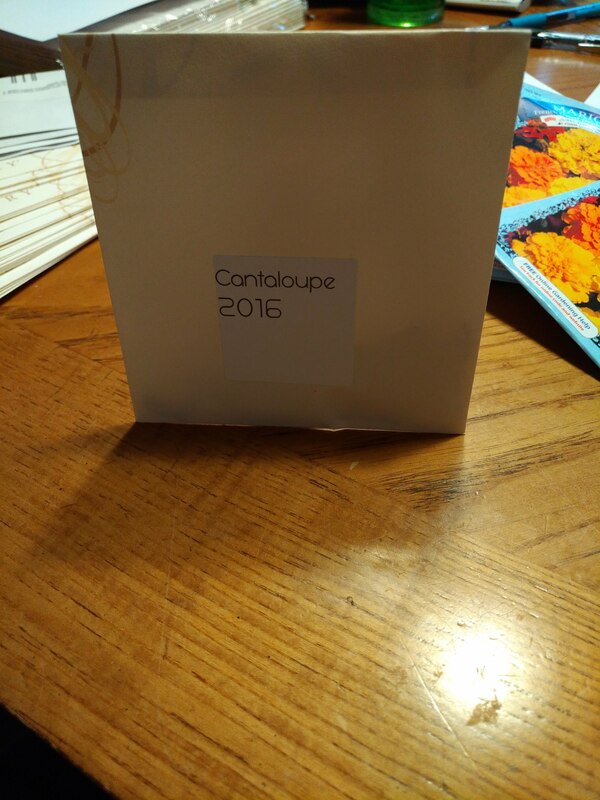 If you have an envelope template below is optional. This is how I lined up the top in order to get the cut I wanted. Experiment and see what you like. 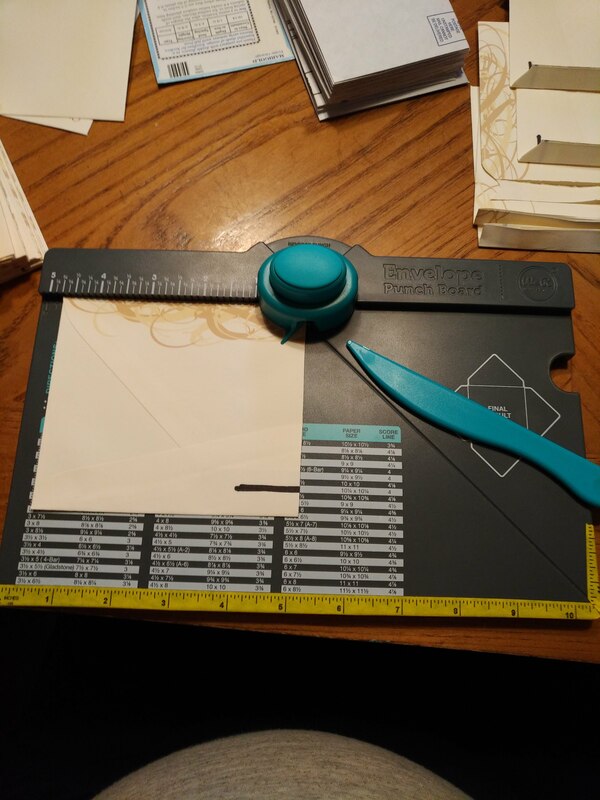 First, I cut the corner off. You do one side then flip around to do the other. Make sure it is on the open end. Don’t ask me why I am reminding you that HA! 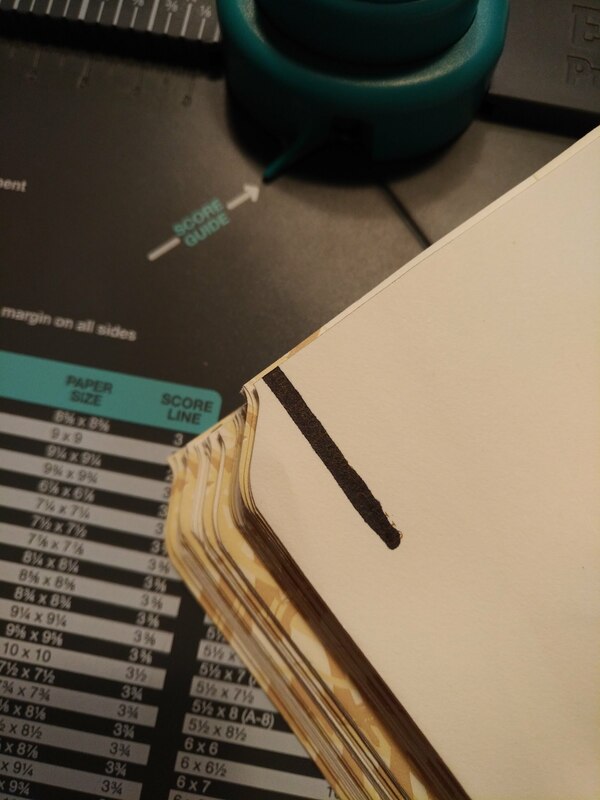 Make sure to press lightly, the paper will tear if you don’t. Sometimes it will even tear when you fold it. So really having a gentle touch is important here. Otherwise it worked very well and saved my poor fingers! 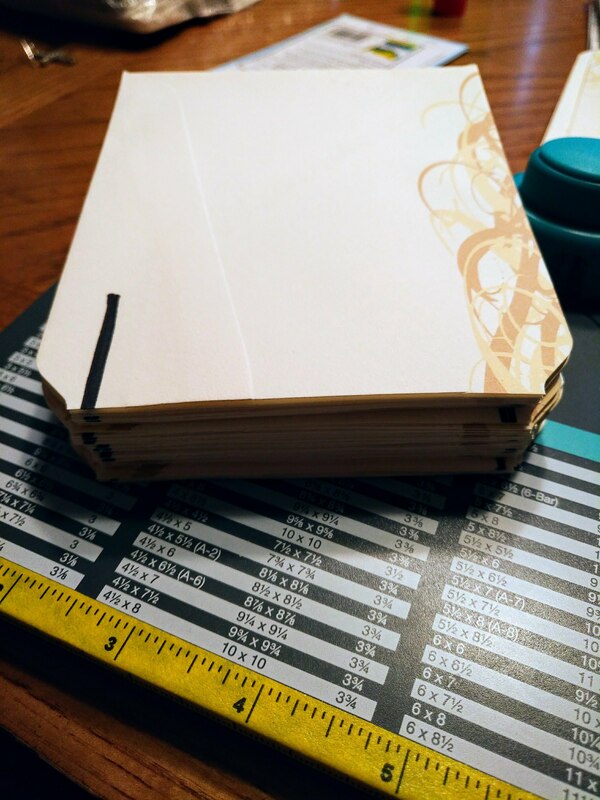 This stack is punched and ready to score! It was a lot faster and more precise this way!